Join the Round Rock ISD Family! 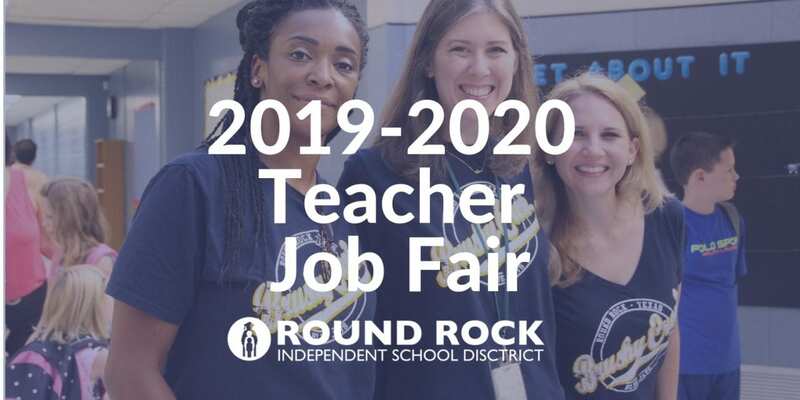 At the job fair, teachers certified to teach for the 2019-2020 school year, paraprofessionals, diagnosticians, and counselors will have the opportunity to meet with elementary and secondary campus administrators and department leaders. Skip the line when you Pre-Register. Walk-ins are welcome. Bring plenty of paper copies of your cover letter and resume. Professional dress is recommended and there will be plenty of free parking. We can’t wait to meet you! Pre-Register for the Round Rock ISD Teacher Job Fair. Can I apply before I come to the teacher job fair? That would be awesome. Visit the Round Rock ISD job bulletin, conduct a search for the Certified Teacher Application. This is a preliminary application. When positions are added to the job board, further location-specific applications will be required. Do I really need to pre-register? Can I just walk in? Sure. If you love to help students succeed we want to meet you. However, pre-registering will help you avoid lines and having to do paperwork at the event. There is no fee to register or attend the job fair. How many positions will be available? There are various positions to fill at every level. We have 34 elementary, 11 middle and seven high schools to staff; new positions become available each day.